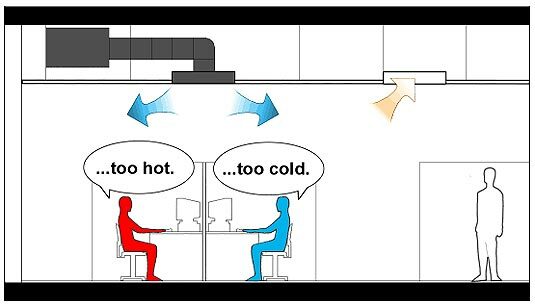 There are four primary factors that affect human comfort: air temperature, relative humidity, radiant temperature, and air movement. 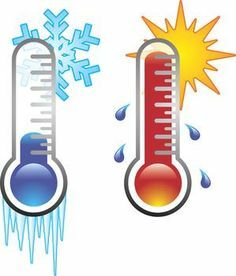 People are often most comfortable when the air temperature is between 70 and 80 degrees Fahrenheit and when the relative humidity is between 30% and 70%. A slight breeze on a hot sunny day can make you feel comfortable, but a draft in your living room on a cold day can be uncomfortable. Radiant temperature is best described with an example. If you sit next to a single pane window on a cold day, you’ll likely feel cold, even if the air temperature is warm. Your body heat radiates from your skin to the cooler surface, and that cools you down. On hot days, the ceiling under a poorly insulated attic radiates heat, making you feel hot even when the air temperature should be comfortable. Overall, this concept shows that comfort involves more than just air temperature; it really relates to many factors in your home that can be altered with advancements in building sciences. By knowing what factors affect your comfort and how to control them, your home can become a more comfortable and efficient home. Look for our Building Science Article next week on Heat Movement through your home!